Series 4 organized by HKAAA. 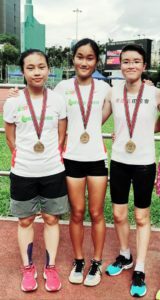 S3 Margaret Fu, S4 Jolly Leung and S4 Larissa Lai got Champion in Women’s 4x400m relay. Congratulations!